I suppose that I have been friends with Sandor (Shawn-Door) for about 10 years now. I met him though the Ukulele Club of Santa Cruz. Andy, Peter and Sandor were the holy trinity of ukulele. Santa Cruz had a strong affinity with the island culture. 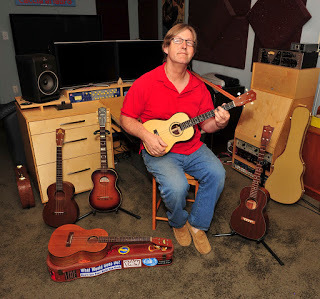 He's a man with many talents and several baritone ukuleles.